Fashion Friday: Instant Outfit Upgrades - emma and co. The other day, I decided to take a walk down to the main street in my college town and ended up in the thrifting for a couple of spring wardrobe gems. I am still trying to figure out fashion, but when it comes to layering, more seems to be more and can take a simple outfit to the next level. 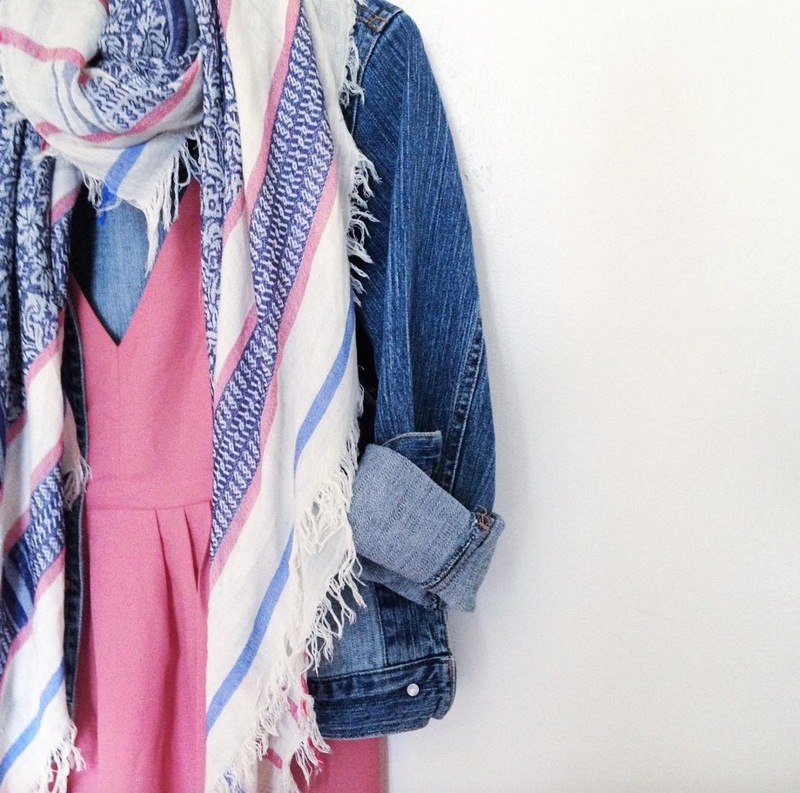 Two things that my mother swears by are denim jackets and scarves. While it took me a while to get on board. (The scarves I had growing up were always itchy and denim jackets were still associated with boybands at the time.) Here are some of my favorite online options, though I highly recommend checking out second hand stores, especially for broken in denim.